Highly weather resistant, this galvanised 19mm x 330mm, 3/4 inch Whitworth thread hook to bolt is ideal for securing farm gates through a wooden post. Manufactured from mild steel, the hot dipped galvanisation process ensures that this hook to bolt can stand up to extreme weather conditions making this a robust and durable piece of equipment suitable for agricultural use. Fitted with a 19mm pin, this hook to post will suit posts from 100mm to 250mm (4"-10") in thickness and is designed to work with a gate or gate eye. This unit comes pre-assembled with one nut and one round washer for ease of use. This type of hinge gives more flexibility when used with a gate in a sloping field and can be used in opposition for additional security. 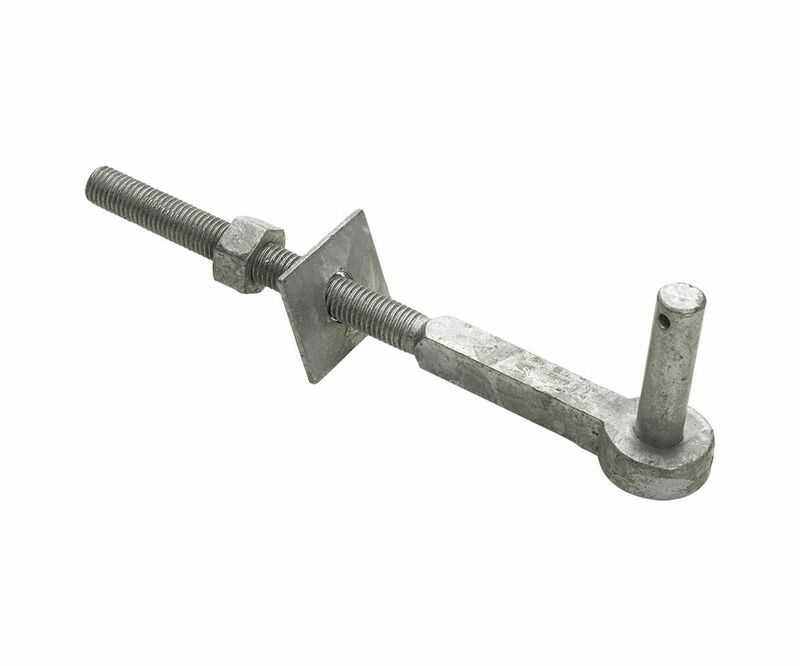 These high-quality hook to bolt units are available for same day dispatch and next day delivery in the UK if you order before 4pm.